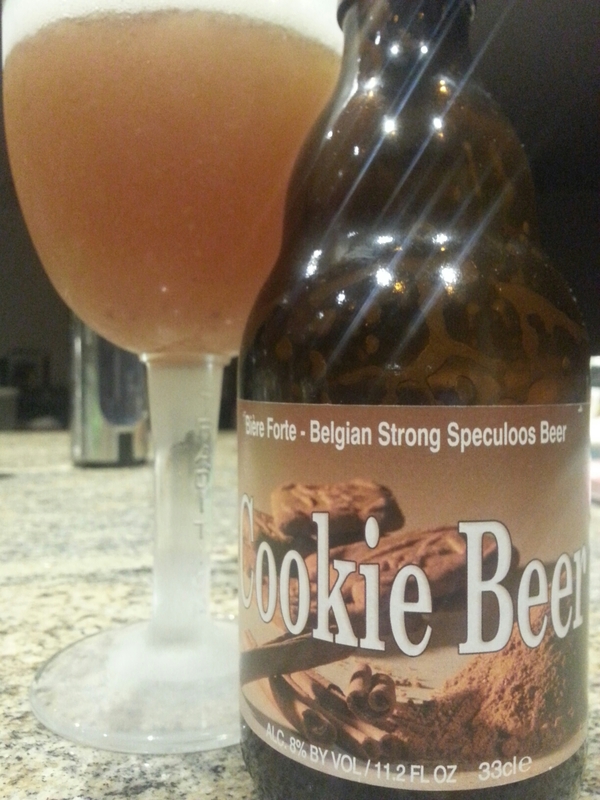 Cookie Beer – Brasserie d’Ecaussinnes (Belgium) | Justintoxicated. Visual: (cellared for 3 years). Pours muddy brownish orange with a large super foamy lasting head, 5mm layer of retention, dense clusters of very active streams. Finish: star anise exhale, sugar rush headache. Summary: Likable creamy texture but very heavy on the sugars, ginger, and star anise flavours. Difficult to sip without starchy food. Unbalanced – too sweet, too spiced.